International Podcast Day is coming September 30 and you can help celebrate the day-long event by purchasing the first ever #PodcastDay shirt. And because the celebration happens every year on September 30th, your shirt will be good for years to come. Go to: http://internationalpodcastday.com/shirt and start the conversation. – Audio-Technica AT2005USB mic or Rode Procaster dynamic mic into the Mackie Onyx Blackjack audio interface connected to MacBook Pro via USB. I record in Adobe Audition. I start with the gain at “0” then go up tell I start hearing hiss then I go down a little. When I raise the gain, it introduces hiss, so I keep it down. But when I record and try to add just a little normalisation or compression, just a little, I start hearing a background hiss. If I keep it without post processing, the sound is too low. The hiss is definitely NOT from the room, I’m in a very quiet room. A: What you describe sounds like a ground loop hum or a noisy preamp for the mic. I’m not familiar with with the Mackie interface you are using but for the most part, Mackie makes a very good (and Quiet) preamp. One thing you could try is isolating the ground to the power supply to the interface (if it has one). In the US, and I’m not sure where Ahmad is, we have 2 prong AC plugs and 3 Prong AC power plugs. In the hardware store, there are these little adaptors that you can plug a 3 prong plug into and it allows you to plug it into a 2 prong outlet. This will remove the ground from a 3 prong cord. Maybe you could send in an audio clip so I can hear what you are talking about. In the mean time, you can use Noise Removal tool in Audition. You leave some quiet space in your recording and in the tool you highlight the noise and click on “Capture noise Point”. Then select the whole recording and apply the “Noise Reduction Process. You may have to experiment with the settings a few times to get it just right. Paul Colligan came up with a perfect statement about Apple iTunes N&N. I’m going to be Guest Hosting Ask the Podcast Coach Tomorrow morning. (Saturday the 15th) at 10:30am Eastern. Dave Jackson will be speaking at Podcamp Pittsburgh and may call in remote, but Jim Collison and I will be holding down the fort. It will be found at askthepodcastcoach.com/live/ or look for Ask The Podcast Coach on your podcast catcher of choice. Sorry for the short notice. Blubrry tip of the week. The hits keep on coming! Blubrry launched a redesign of its main website and the directory. This is all part of the prep to launch the Powerpress sites feature and the expanded directory. This is not really a tip other than to say that instead of “manage account” you click on “Podcaster Dashboard” from the home page once you are logged in to find the settings. The backend (the manage account area) hasn’t changed yet, but will when all the new stuff is live. Very soon I’m told. 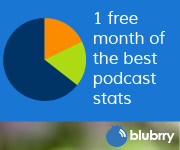 Use my promo code HELPDESK at blubrry.com for a free month of Podcast Hosting, Stats and SOON, WordPress hosting via Powerpress sites. RANT. 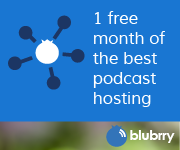 Certain podcast hosting companies has a war on wordpress going on.